Not only was this a long weekend and Easter Weekend, it was also the first Monday of the month, which means Canton Trade Days was going on this weekend. I was looking on Facebook and saw a notice reminding me about the events in Canton and decided to take an impromptu trip out there to see what they had. 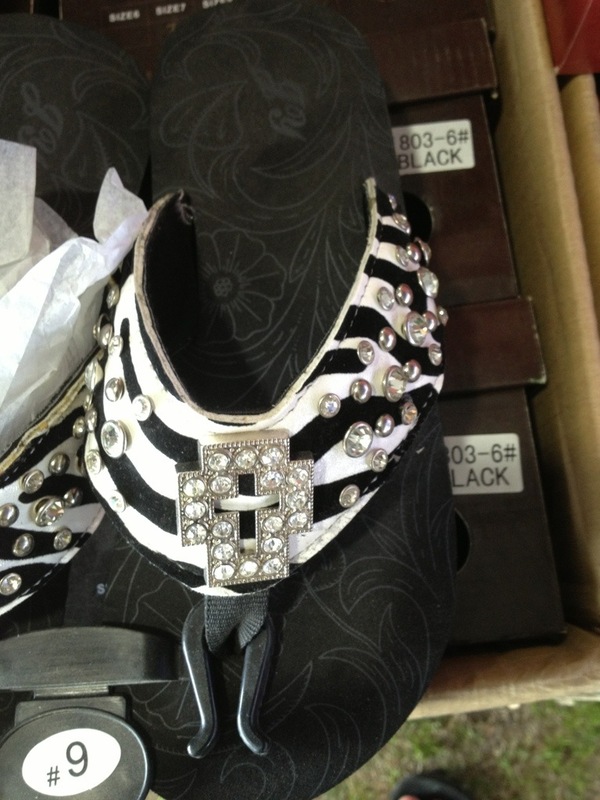 I was so excited when I found some fun flip flop sandals for myself. They had a really good deal in one of the booths to buy two and get the third pair for a reduced rate. Since I really only liked two of the pairs they had, I bought the third pair for my sister. I think my favorites were the ones that I got her, but they didn’t have that style in my size. I’ve already worn both pairs I bought two times, and my sister wore hers for Easter brunch, so I’d say the trip to Canton was a success!! 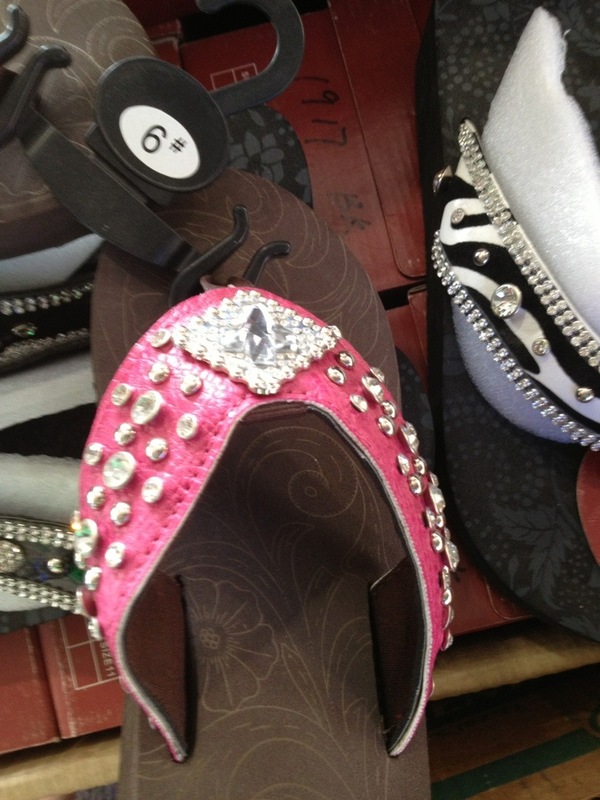 The zebra ones next tot he pink flip flops are the ones I got my sister. 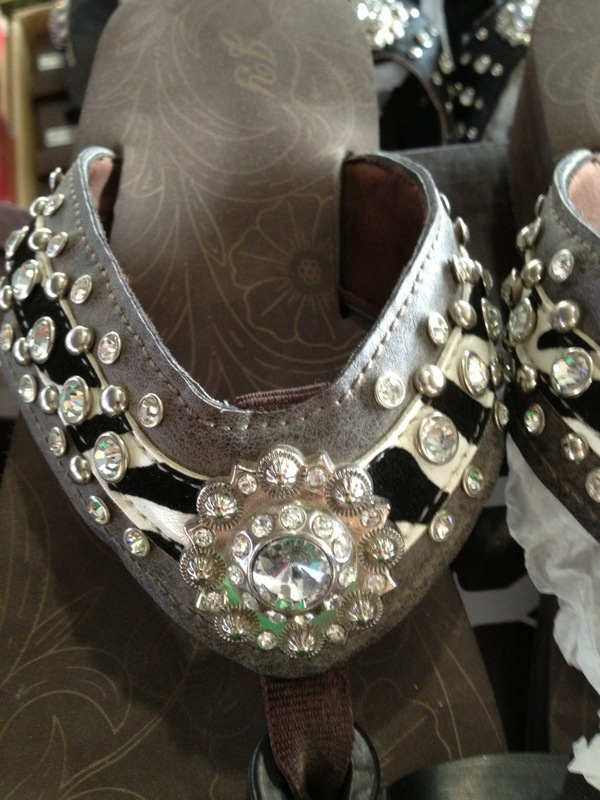 These aren’t the ones I bought my sister, but they are very similar. I saw a stuffed chicken on pinterest and even though it looked a little fancy for my cooking skills, I decided to give it a try. 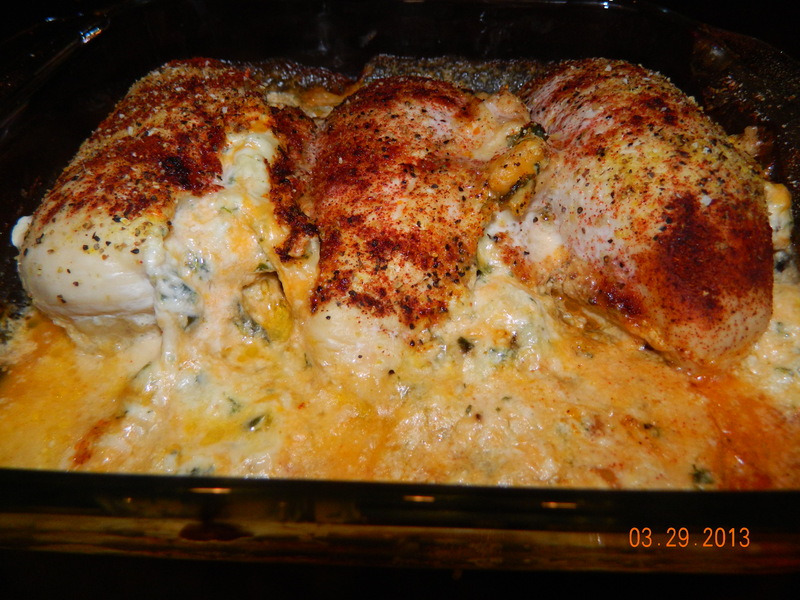 It really was an easy recipe and I have to say one of the best things I’ve made. I’m pretty sure it’s all the cheese that is in the stuffing that made it taste so good. The only advice I have is to remember to take the toothpick out when it’s done cooking. I learned that one the hard way!! I didn’t put any amounts because I just put in the amounts I liked. I only used 2 Jalapeños and I just put a spoonful of minced garlic that was already preminced from the grocery store. 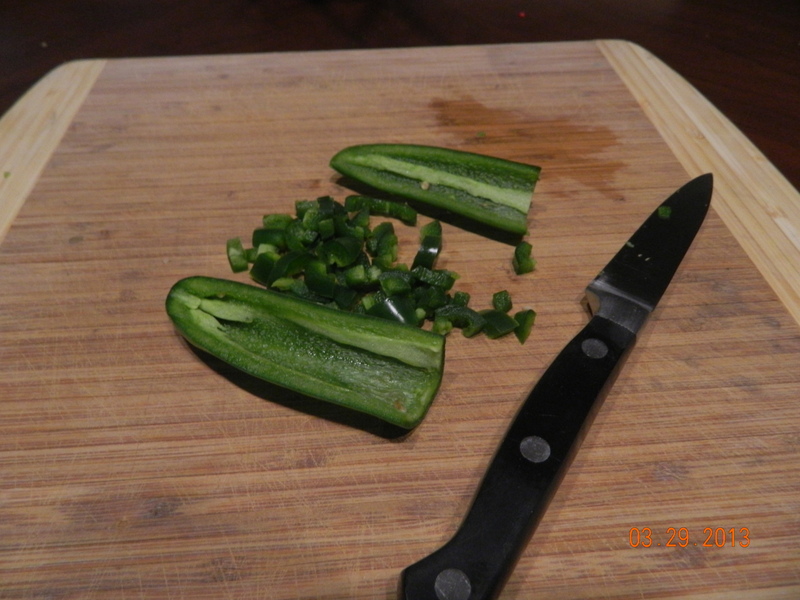 Cut the jalapeños in to small pieces. I cut out all the seeds first. You can leave a few in if you like it kind of spicy. 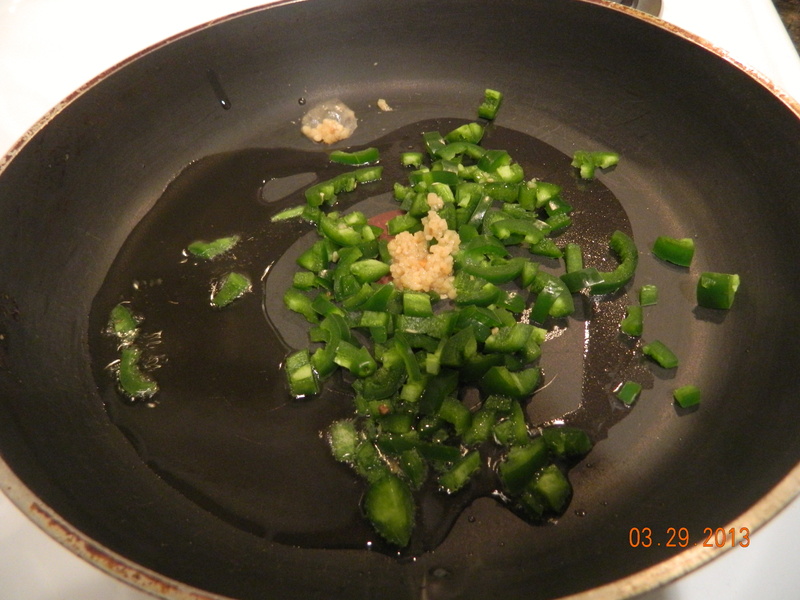 Sautee the jalapeños and garlic in olive oil. This was way too much olive oil and I had to drain it. 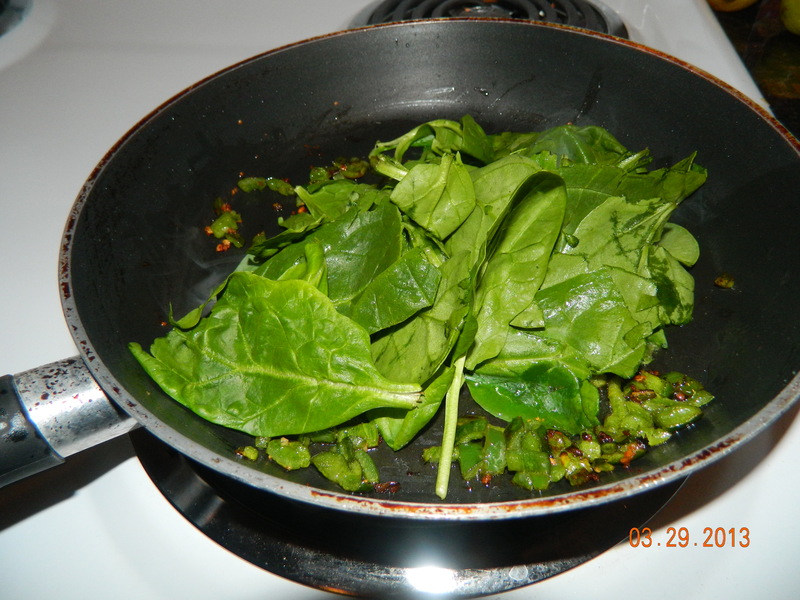 Add Spinach to the sauteed jalapeños and garlic. 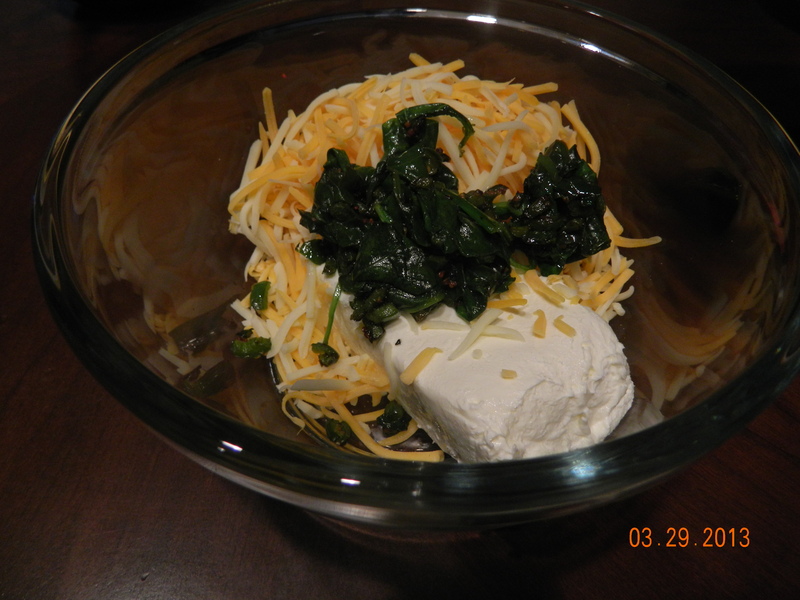 Put cream cheese, cheese and sautéed spinach jalapeno mix in a bowl and mix it up. It will look something like this. 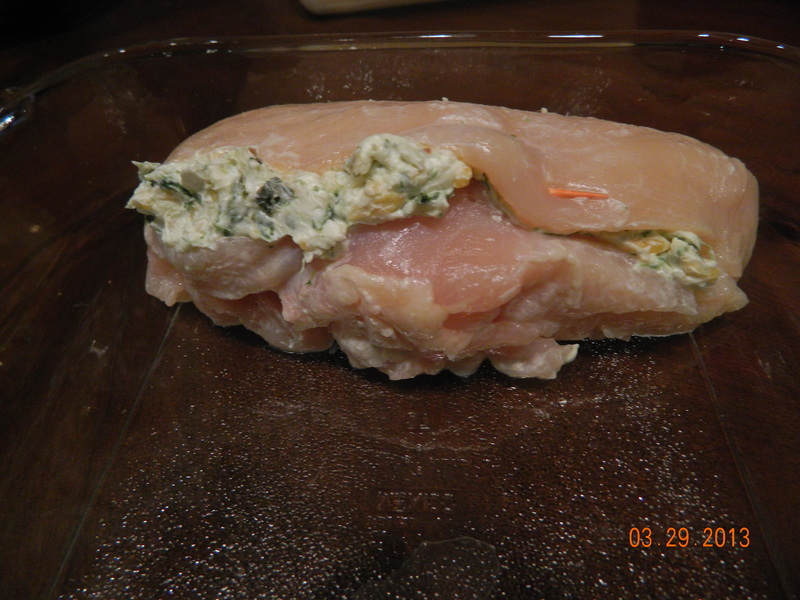 This is what you stuff inside the chicken. 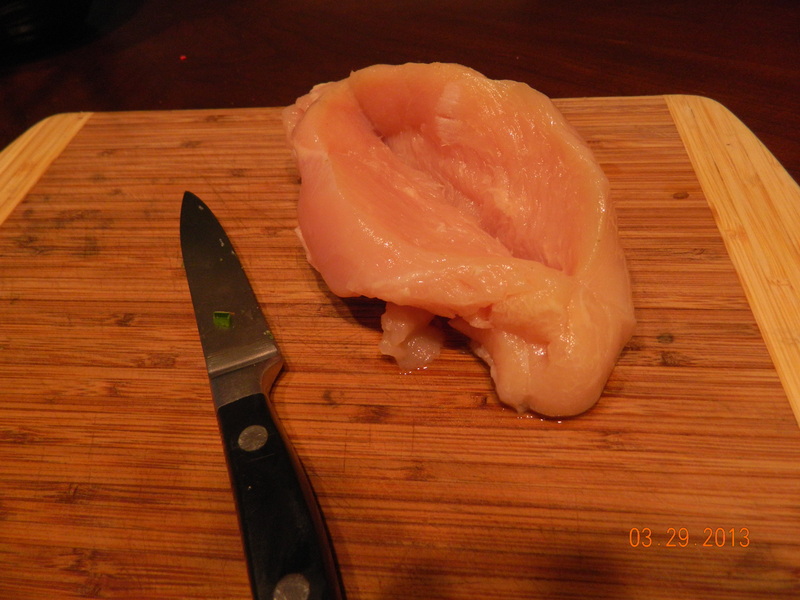 Cut the chicken in half like a pocket. Do not cut all the way through. Stuff the chicken and poke a toothpick through it to cook it through. 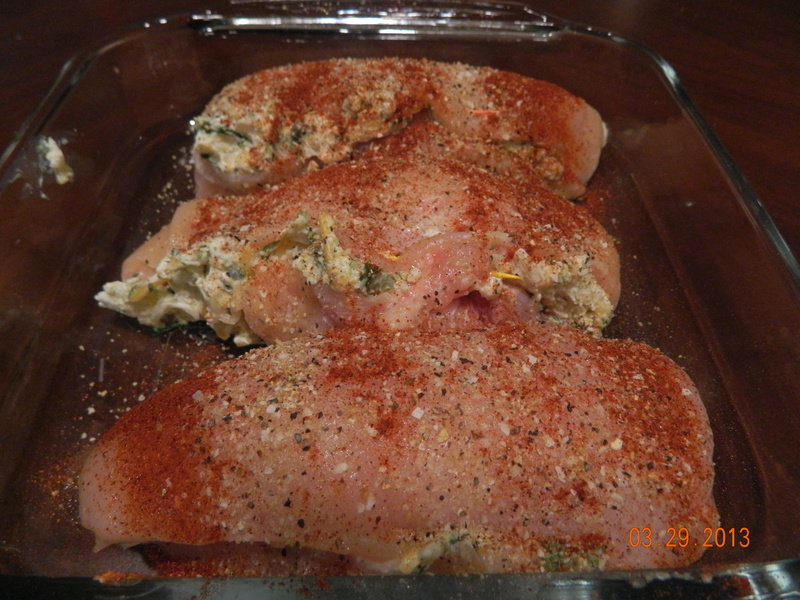 Cook in the oven on 375 for about 45 minutes or until cooked through. Again, DON’T FORGET to take out the toothpicks!!!!! Good job Courtney! That looks delicious!